Compliance This is one of the biggest challenges for an MFI, as the regulatory requirements mandates strict adherence. Ensuring strict adherence requires regular audits and physical verification of the documents, which is tedious and time-consuming activity. Imagine yourself surrounded by a heap of documents, files. Probably most of us have seen this scene in Government offices such as Municipal Corporation. You can take that situation to most of the corporate houses too and it doesn’t look very different. Qualityze offers document management software solutions for healthcare, pharmaceuticals, life sciences and manufacturing industries. To provide the complete business solution for all the activities happening in any Two / Three Wheeler Automobile Dealership. Dealer Management System or that can also be said as Solution for Automotive Dealerships. Axpert-DMSAxpert DMS is a comprehensive web-based Dealer Management System (DMS). It is designed to work in tandem with the ERP of the the OEM, integrated online over FTP. Suitable for large dealer networks, whether captive or third-party. - Connects the Design FMEA to the Process FMEA. PACC-eDocs is a Web based Document Management System (DMS) solution for capturing, managing, delivering and archiving large volumes of documents and content. a web based solution designed to automate your document management. 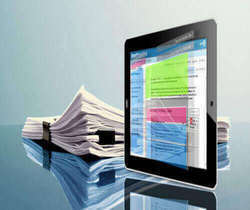 Software that manages digitizes all the unstructured data and documents for electronic publishing. It generally supports a large variety of document formats, versions and provides extensive access control and searching capabilities across LANs and WANs instantly at a click.